The man behind Jonah Ryan discusses the opposite of method acting and how ridiculous it is that "Veep" is a political aspiration in 2017. 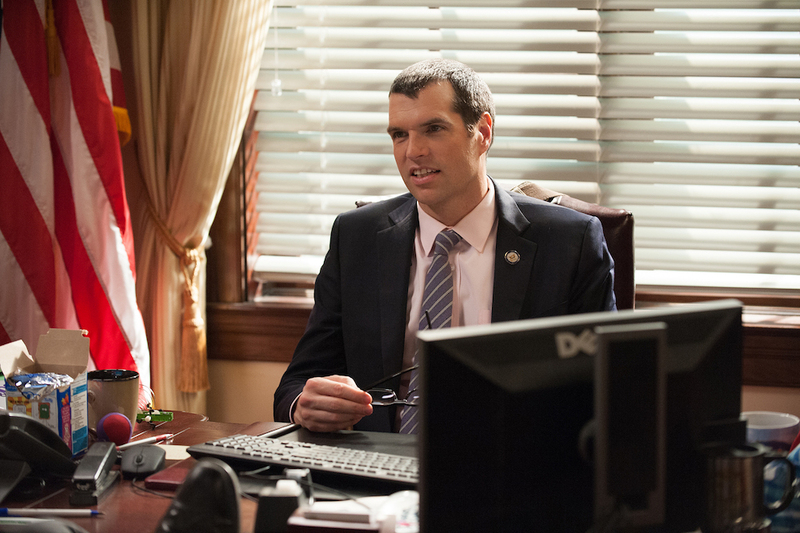 Two years ago, was it more improbable that Jonah Ryan would be a congressman or that he’d have a girlfriend? Timothy Simons takes a long time to answer this question. He should. It’s a tough one. Go ahead, and ask yourself: Two years ago, when Simons’ “Veep” character was getting his balls fondled by Patton Oswalt’s hands-y VP staffer, Teddy, was it harder to imagine him with a girlfriend, or as a United States Congressman? That Simons made this choice (as well as the fact that it’s objectively correct) points not only to the repulsive nature of the fictional congressman from New Hampshire, but also to the state of American politics. The topic has come up, oh, once or twice as viewers dig into the sixth season of HBO’s Emmy award-winning comedy, and the real-life news cycle functions as an unfunny parody of (what’s still) a very funny parody. When asked about spending his days playing the second-worst example of American politics run amok, Simons said he could never remain in character beyond the performance. During Episode 5, when Jonah first meets his current fiancé, Shawnee (Mary Holland), the scene directly connects the toddler mindset with Jonah’s character. Ben (Kevin Dunn) and Kent (Gary Cole), Jonah’s two staff members, play Mom and Dad as they scold the Congressman for not eating before coming to a party where he’s not allowed to eat. That scene also serves to highlight one of the most convincing traits Simons brings to the character: his “outright refusal to learn lines.” OK, that’s a joke, but only partly. Because “Veep” is constantly adjusting dialogue, blocking, and scenes in general, Simons has to know the material thoroughly, be ready to adapt on the fly, remain true to his motivations, and all without ever sounding too rehearsed — or even play into the jokes. And in bringing that toddler to the masses, Simons has become the most politically relevant performer on TV — well, on scripted TV.